GMK double-shots (Full set black and purple mods/tsangan, not sure if I had a 7 key space for it or not. donor board was a cherry OEM one) from the classifieds. Assorted keys from the kmiller8 gb that had dolan duck, doofy, spooderman etc. Don't remember which ones I had or if I ordered them all. I probably have emailed receipts for everything here too to prove the authenticity. I've been out of the community for quite some time so am very out of the loop. Not accepting offers or snipe attempts at this stage, I'll post up a classified in due time. Would expect anywhere from 350 to 600 on the KMAC. Highly depends on condition. I've seen some dented ones and those will sell much closer to the lower end. Also winkey vs winkeyless will make a difference. Calm Depths now has a competitor set by an SP competitor, whose sets sell for around 100 so I would say around 180-230 for the SP set. HyperFuse DCS I'd expect around cost. Round 5 sets - anywhere from at cost to 1.3x, depends on coverage, but it seems to depend also on when it was picked up because 7bit pricing varied over time. WYSE set - if it includes a Moogle kit, it'd be more valuable but overall, DCS remains less popular so close to cost. GMK keys - would have to look what they look like. Can go from 80 to 180 depending on coverage. But it sounds like it'd be fairly basic so maybe closer to the lower end. Full Nyan cat - at cost. Hammer 60% case doesn't = FMJ 60% case. They are two different things, but both have been "cloned". The hammer ones afaik didn't say hammer on the bottom so not 1:1 copies. I think it would be worth closer to 200$. I bought one for 180 and had several people want to buy it from me, but this was a while ago. Does anyone know how much this Chicony 5160 with Amber Omrons is worth? looking to sell my rev1 kbd75 pcb with Cherry Clears. This is the non usb C version and is in a cyan Alu case. RGB underglow and programmed via bootmapper client. Case is in pretty much perfect condition. I was offered a trade: my Wildstory Scorned Lola and Ikkakujuu Lola for an Ice Dream Murray I'm really aching to get. The Lolas will be used by the recipient for a trade for a Revthulhu that person is looking for. My question is, how do the Lolas fare value-wise vis-à-vis the Murray? I still haven't seen a single sold on r/mm, only traded or for colorswaps. This is the first official sale for Lolas, so there's no set value as of yet. Only a black singleshot was released as a bonus to the previous sale's winners. 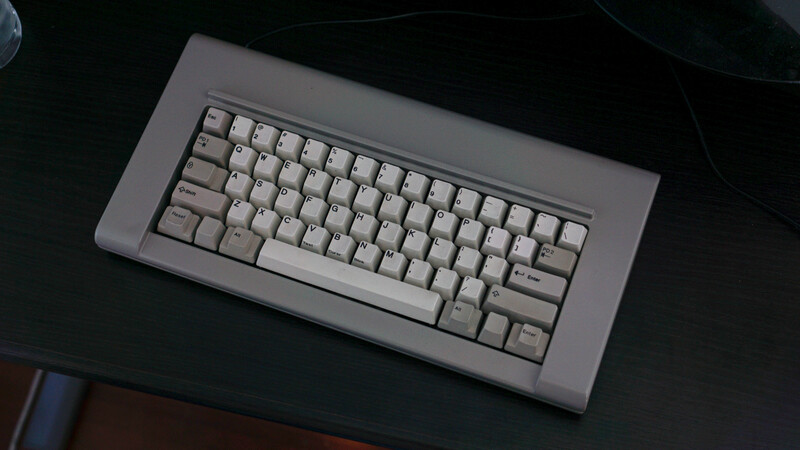 I'm looking to sell my TGR 910-CE. The board is in pristine condition. Built with vintage black 62g lubed and stickered. How much should I sell it for? I am looking to get rid of most of my Keyboard gear/parts. Help on pricing / value would be greatly appreciated. Thanks!!! hello! could someone give me a price check on GMK valentine's? thanks in advance! $120 was the last I saw it sell for, and it took a while. I'd say $140 max. Halos are like 0.50 a pop, and the Pandas are back to normal prices, so like $1 a pop at most? So I wouldn't pay more than like $2-2.50 a pop for lubed ones. My Scorned Lola and Ikkakujuu Lola are being traded for an Ice Dream Murray + $50. They will later be traded by the recipient for a Cereal Killer Revthulhu. also, how much is topre rbg worth? Those Esc/Ctrl kits were like $32-35 if I recall correctly. Looking for a fair price for a Vortex Race 3 w/MX Clears. Original everything and in like-new condition. I put neoprene in the bottom of the case, but I don't know if that would add to its value or not. When I build my first keyboard, I'm probably gonna try to sell the Race to make up for the cost, because I probably won't use it again.